Written by Nicole Kohler on January 23, 2017 Blog, eCommerce inspiration. Many nonprofit organizations rely on charitable donations for funding. But motivating donations from supporters can be difficult — especially online, since they can’t always see where their money is going. Here are three extensions you can use to more easily accept — and encourage — charitable contributions via WooCommerce. In many countries, PayPal is a payment standard. Its convenience, ease of use, and level of consumer trust make it an ideal way to take payments from customers — and that includes donations. PayPal Standard comes built into WooCommerce, so you can start accepting money via PayPal as soon as you like. 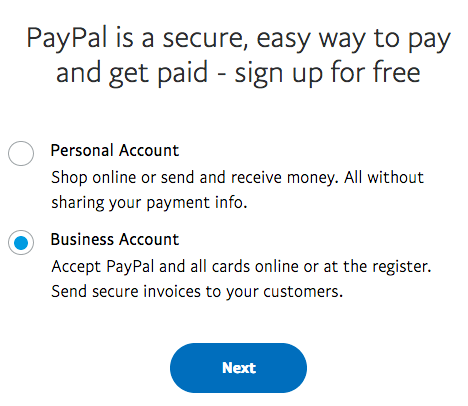 To get started, you only need a PayPal Business Account, which is also free. A PayPal Business account is free to open. You can even convert an existing Personal Account to Business if you like. Of course, you may not want to give your supporters only one way to back your cause. Sometimes they want to give you their money, while other times they want to buy products that you’ve produced. And there’s one WooCommerce extension you can use to accommodate both of these scenarios. With Name Your Price, you can allow donors to choose how much they want to contribute to your cause from the familiar interface of a product page. This extension will have you create a “product,” set a minimum donation amount (if you prefer), and then allow donors to add their contribution to the cart as they would any other physical product. The only difference? With this product properly set up as a digital item, it’ll look to consumers like they’re simply making a donation. And you’ll still have a fully functional shopping experience that can be used to sell real physical or digital products. 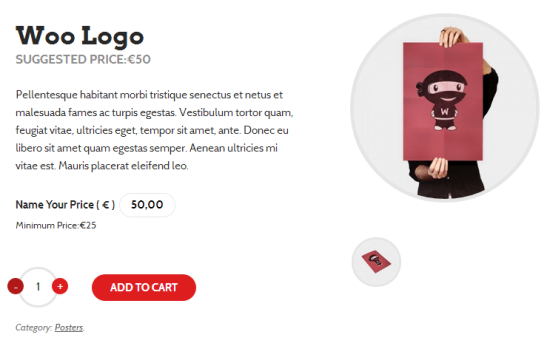 Set up a product page in WooCommerce as you would for any other product, enable Name Your Price, and you’re on your way to taking donations in a flash. WooCommmerce Subscriptions is one of our most-loved extensions, and with good reason: it makes possible what many other subscription platforms can’t. Recurring subscriptions with detailed reporting, automatic rebilling (even for failed payments), and support for memberships? Awwww yes. Getting your supporters to come back and donate again can be tricky, and that’s why subscriptions can be so powerful. If you offer a subscription model right up front, you’re giving new donors the option to support you monthly, quarterly, or yearly without even thinking about it. Supporters can sign up for recurring donations for any model you choose to allow. You can give them the option to contribute small amounts each week, or large amounts each year — all automatically. And the subscribers can log in to their account at any time to change, cancel, or renew their subscription without the need to contact you. Donors won’t have to bother you to adjust their subscription amount or frequency — they can change it themselves in just a minute or two. If you’ve been relying on emails, postcards, and phone calls to ask for repeat donations, this extension might be your new best friend. Give it a shot! Now that you know how to accept donations, it’s time to look how you can improve that process. Offering multiple ways to financially support your organization is great, but if the process of donating is long or complicated, you could run into big trouble. Here’s how you can boost donations by making the overall process a little easier for your supporters. If donating takes a long time — and we mean a really, really long time — your potential supporters may just give up and walk away. The WooCommerce Checkout Field Editor extension can lend you a hand in preventing that. 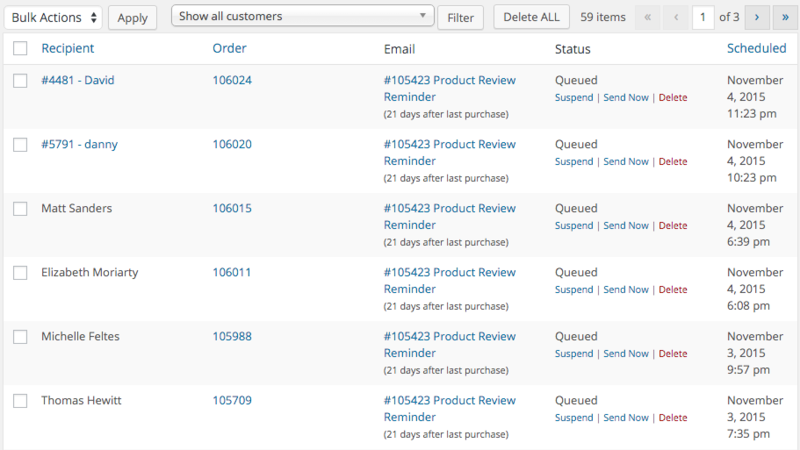 If you’re not shipping any products, you can remove unnecessary fields and speed up the process significantly. The Checkout Field Editor lets you add or remove the fields displayed at checkout so donors don’t have to spend any more time than is really necessary on those final pages. 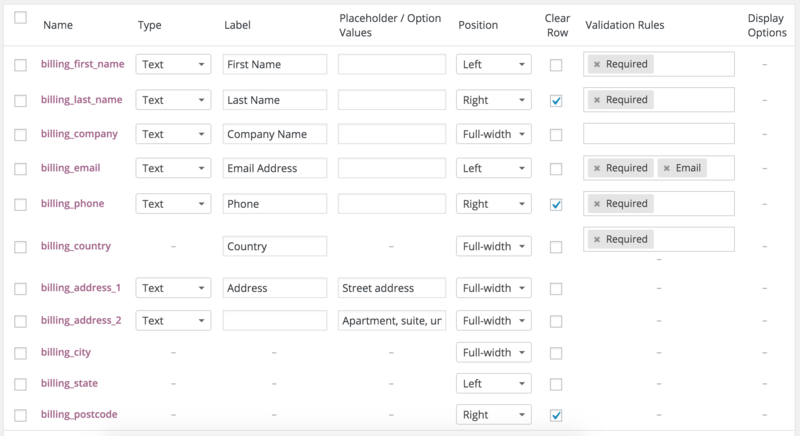 You can also edit the fields that appear — for example, you can change the text that appears so instead of asking for “Company Name” you can ask for “Family Name” or “Organization Name,” whatever works best for you. You can also change the width and location of text fields if you know your supporters will have longer or shorter addresses, add comments, and so on. You can even use this extension to add new fields to the checkout so you can ask donors who want to also volunteer (or support in other ways) for their information. That sounds like yet another time saver to us. Another option you can use, either on its own or in tandem with the editor above: an extension to condense your checkout to a single page. WooCommerce One Page Checkout will remove the multiple pages or steps from the traditional checkout process, cutting it down to just one page. So again, as long as you’re using a payment gateway that keeps donors on your site, this will make things even faster for them. Save your donors time – cut the donation process down significantly with a single checkout page. One word of advice: this extension works on a per-product basis, so you’ll need to set up a donation page with One Page Checkout vs. adding One Page Checkout to multiple existing pages. Having said that, it is compatible with Name Your Price (and several other extensions) so you can still use it flexibly. Here’s one final pair of extensions to check out for those of you who use your site to recruit volunteers, organize meetups, or schedule activities. These solutions will give you better ways to communicate with volunteers or donors, and can even save you some valuable time. Gathering supporters can take some time — as you likely already know. Keeping in touch with them can also be tricky, especially if you don’t ask for their email at the right time or place. MailChimp is a powerful email marketing platform that integrates seamlessly with WooCommerce, and it will allow you to ask for potential volunteers to sign up for your emails when they make a donation. 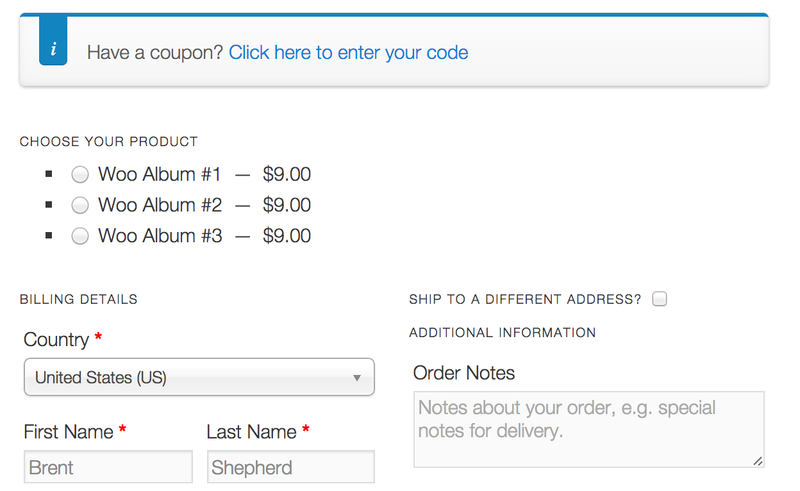 It’s simple to add the option to your checkout page, and once it’s there, you’ll be able to customize it as you please. 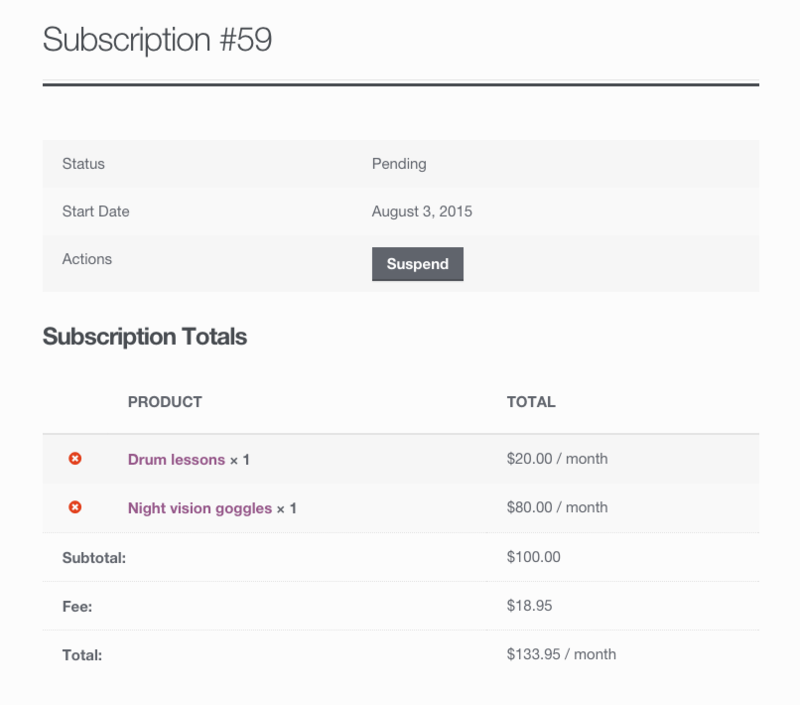 Once you have subscribers in MailChimp, you can create and send emails with the simple interface. Create lists or segments based on subscriber activity — like donations made, whether or not you’ve marked them as volunteers, and so on — and send welcome messages to anyone to joins a new list or makes a donation for the first time. Send email campaigns to any list you choose, from recent donors to established volunteers. Although the MailChimp integration is a paid extension, MailChimp itself is free for the first 2,000 subscribers. This makes it an affordable, reliable choice for nonprofits looking to keep in constant contact with their donors, supporters, or volunteers — and grow their organization with the help of beautiful emails. Follow Ups is an incredibly powerful extension with a lot of possibilities, but the potential it unlocks for nonprofit organizations really can’t be beat — namely because it can save you an enormous amount of time. Let’s say you want to ask those who have made a donation to your organization to consider volunteering, but you only want to do that 30 days after their donation, because that’s the point at which you know they’re most likely to feel good about supporting you. Follow Ups will let you do just that. Or, if you prefer, you can follow up with your donors multiple times. Maybe you want to send them a thank you email after two days, then follow that up with a call to action a few days later. Or perhaps you’d like to refer them to a local branch for further information on your cause. No problem — the extension can handle it. Set up your follow-up emails and the extension will handle the rest. Convert donors into volunteers, make volunteers more active, and so on. Although it might take you some time at the start to think about which emails you need and when, once you’ve set them up you can feel confident that they’ll be working for you — and saving you precious time (and potentially money). You want your nonprofit organization’s website to be powerful, with a wide-reaching message and effective calls to action. But with these WooCommerce extensions, you can take that power to the next level, effectively motivating a wider audience of donors and volunteers. Have any questions about using WooCommerce or its extensions for your nonprofit? Or any other extensions you’d like to recommend for organizations looking to do good? Leave a comment below, we’d love to hear from you. This is so useful for fund raising! Perfect for my project! Awesome Nicole, I guess I found a new extension for my next project. Definitely using it. would love to use woo for our non-profit, but there are some core features that are missing as far as donations go. For example it would be great to automatically send the donation tax receipt, ability to resend receipts. I do appreciate the ability for subscriptions and integration with other apps (QuickBooks). We use WooCommerce for our non-profit and we changed the “Completed order” email to an email receipt. You can also manually re-send all of the Woo emails. 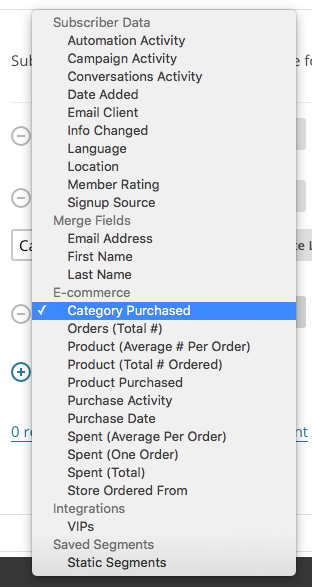 Just in case this helps… For the most part WooCommerce has been a great fit for us. Just thought I’d follow up with Wendell’s comment. We too have spent extensive time changing the linguistics in all of the public facing pages and emails. However, every time there is an upgrade we have to invest a lot of time making sure those changes remain. Would be nice if WooCommerce had a configuration page for relabeling these with ease. I think a configuration page for more easily changing buttons, labels, etc. is a fantastic idea. Feel free to vote on it if it would help you!